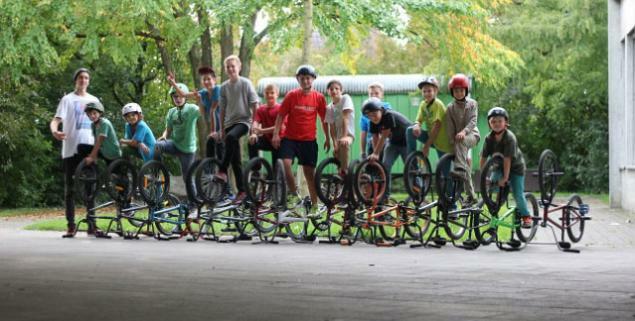 Meanwhile in Germany .. Markus Schwital held the second Flatland School in his hometown in October. You are doing it right Markus! 13 kids between 7 and 14 years attended. Again there were training sessions on the weekends and practice time (homework) during the week. The grand finale was a contest where the kids could even win prices thanks to the support of Kunstform, Red Bull and Shokomonk. Keep up the good work Markus!